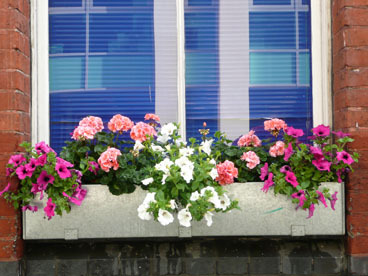 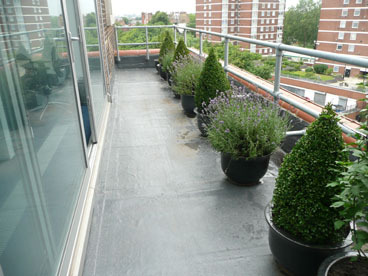 There is a growing trend towards Roof top gardening in our major towns and cities . 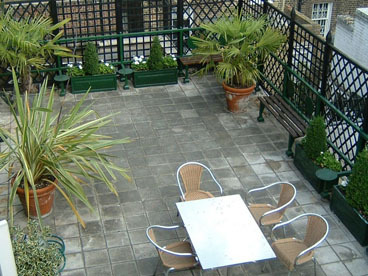 Our outside space is being reduced more and more and therefore people are looking to previously unused courtyards and rooftop to create useable additional space. 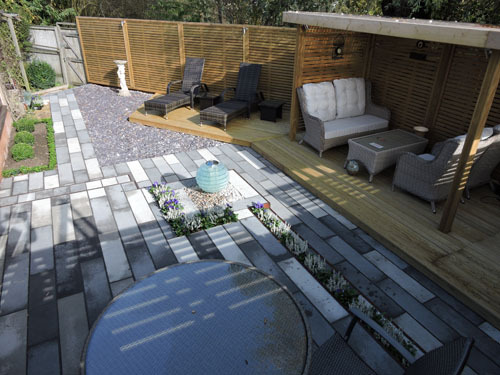 With an area as small as 10/15 square metres it is surprising what can be achieved to create an outdoor room. 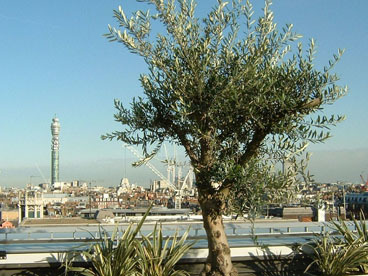 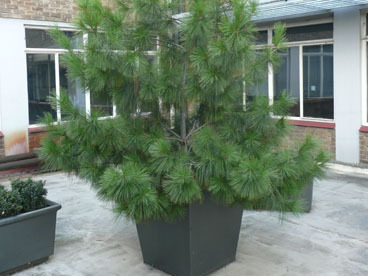 We offer a complete design and build package for Roof top gardening which will take you through the feasibility , design and ultimately the final installation. 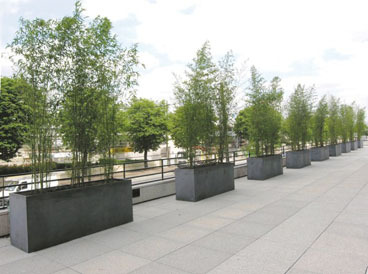 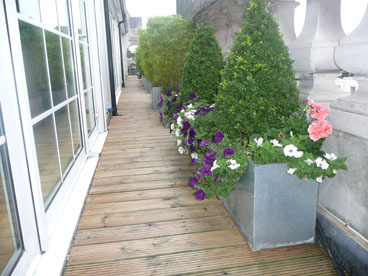 Whether the space is suited to a few planters and a table and chairs or it has the potential for a more expansive scheme we can take you through the process step by step. 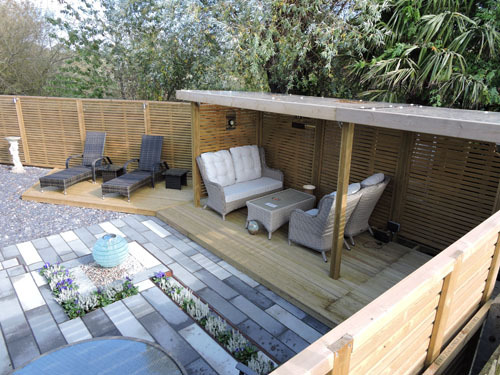 At a private and domestic level the rooftop space may be the only outdoor space that you have and it can be turned into a private haven for relaxation . 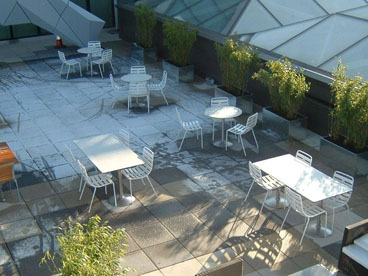 At a corporate level the space may be used for staff to have breaks and informal meetings , a visually striking backdrop from the office or a space for entertaining visitors. 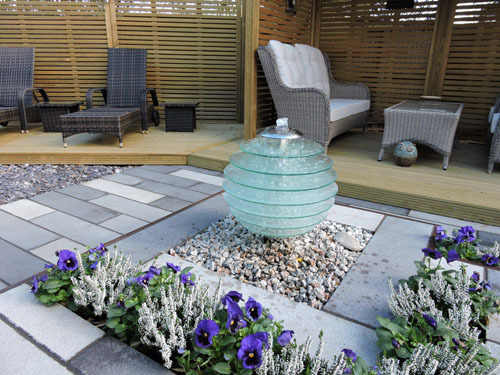 Elements that we consider would include: Planting, Planters, Furniture, Floor surfaces, Trellis and fencing, Lighting, Water features, Irrigation, Artwork and Structures.